You're welcome Sue. It was my pleasure. I also invite your readers to contact me via my website if other questions occur to them. There are questions I would like to put to Walter Brennan. For example, I would want to go over the sequence of events that led him to become outspoken about in political beliefs starting in 1960. I think I have a good grasp of what happened, but I'm sure he could tell me more. I would also like to know more about his work with Richard Boleslawski and why Brennan felt it was like losing a father when Boleslawski died. I'm also curious that Brennan got along so well with Fritz Lang, Boleslawki, and Jean Renoir (another director Brennan singled out for praise). And of course I would to hear Brennan's impressions of Dana Andrews. Those are just of the few matters I'd take up with my subject. By the way, Sue and Moira, you have a still from FURY, which Fritz Lang directed. That is where he first worked with Walter Brennan, who had a small role in the film. Brennan is just amazing in this role, as I try to convey in my biography. And Lang was very impressed and later specifically requested that Brennan play a Czech professor in Hangmen Also Die! Welcome to the Oasis and thanks for joining us! I am reading your latest book right now and am thoroughly enjoying it. I didn't know much about Brennan, who is one of my favorite character actors, beyond the usual facts so your book has been engrossing. I was wondering if you could talk a bit about how Brennan approached creating characters based on the screenplays. One aspect of Walter Brennan's personality that might be overlooked due to his remarkable career and controversial politics is his humor. Your recounting of some stories made me laugh out loud, especially the anecdote about his red checked shirt and his response to an offensive gesture by a driver. Did you have a favorite funny story about the unpretentious actor? You mention two of those funny stories, Moira. I like the one about Gabby Hayes. Sometimes fans confused the two actors. When Brennan was approached by a fan who asked "Mr. Hayes" for his autography, Brennan obliged signing as Gabby Hayes, but then he added a p.s. which said, "Of course Walter Brennan is a better actor." crollyson wrote: By the way, Sue and Moira, you have a still fr:om FURY, which Fritz Lang directed. That is where he first worked with Walter Brennan, who had a small role in the film. Brennan is just amazing in this role, as I try to convey in my biography. And Lang was very impressed and later specifically requested that Brennan play a Czech professor in Hangmen Also Die! I believe that Carl is referring to our website's current banner, a still from Fury (1936). Did Brennan's quiet performance as the principled but very human professor in Hangmen Also Die receive much recognition at the time when it was released? In addition to Renoir and Boleslawski, Lang, another European-trained director, seemed to draw something exceptional and unexpected from the actor. Did the actor ever say what was different about each of them? How do you think that Brennan felt about working with Howard Hawks, John Ford, and Henry Hathaway? 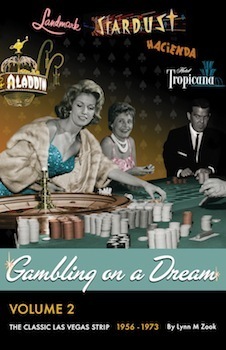 Thanks for that story about Gabby Hayes--you guys need to read the book for me. Walter was a hoot at times. When Brennan had a script in hand and was thinking about the character he had to play, he almost always was reminded of some person he knew or that he had observed carefully. 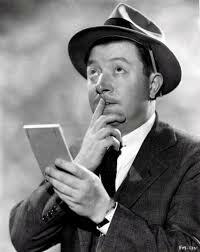 For example, in Come and Get It, Brennan plays the Swedish sidekick to Edward Arnold, who becomes a timber tycoon. Brennan's character is exuberant but also modest, without the ambition to make a huge success of himself. Brennan recognized in this character his own father, who worked for a corporation and created several products that the corporation patented. Brennan was always urging his father to patent some of his work, but the father never did. 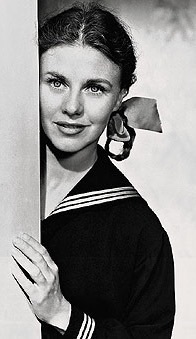 Brennan used that experience to create his character in Come and Get It. He even wore makeup and assumed a manner that was just like his father's. His father died just before Come and Get It was released, and Brennan's mother when she saw the film was shocked at how close in every detail, including Brennan's physical appearance and gestures, her son had modeled the character after his father. I love the Gabby Hayes story! Thanks for sharing that, Carl. And I enjoy your response to Lzcutter's and Moira's questions. To mimic someone is almost like inhabiting a character, but to make a performance imbued with someone else's spirit is much more all-encompassing and detailed. To have impressed his mother with such a role was a feat. 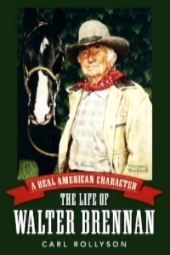 Thank you so much for joining us, and creating such a fascinating read about "A Real American Character: The Life of Walter Brennan." Thank you so much for your insights into writing about Walter Brennan. Reading your book made me re-assess my opinion of him on every level--and I was still sorry to come to the end. Please feel free to come back anytime (especially if you publish again). Making my way, bit by bit through all the posts here, but wanted to chime in and say thank you to Mr. Rollyson for taking your time here.. and thanks to all the SSO folks who worked to make that happen. Great discussions. Thanks again, all for the fun read! Thanks to everyone who visited and to each of those who posted questions during Carl's time here. If anyone has further questions for him, he mentioned that he can be contacted at his website, which is linked below.